My first review for tnt-audio is prompted by discovering a product that is not like anything available in the world of audio that I have ever seen or heard before. The UnCan 'soundfield simulator' has a terrible name, that I think is supposed to be a play on words because the slang for headphones used to be "cans". 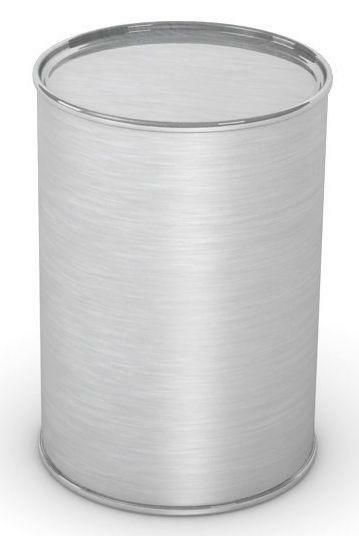 It also looks like a tin can moulded from polycarbonate, with all it's connections recessed at one end so it could sit on your desk beside your pc, where I imagine more will end up than in high-end audio systems on dedicated shelves. The UnCan 'soundfield simulator' claims to make the experience of listening to music via headphones more like listening to live music or music through loudspeakers in a room. Such a trick is an illusion, so this cannot be tested objectively. Such a trick is also not high fidelity as it works by adding things to the original signal to emulate room acoustics, so it is like the opposite of DSP room correction. It is difficult to review something that is therefore artificial, but falls into the same category as DSP room correction, home theatre acoustic environment simulators and quaint old equipment like the DBX Dynamic Range Expanders and DBX Peak Unlimiters, to be found in the pages of old advertisements. As our colleague Fletcher Munsen pointed out in his original ear cleaning editorial, our ears are the best tools we audiophiles have for listening to music. Plugging one's audio source direct into our ears has obvious attractions, hence the popularity of ear bud headphones and circumaural headphones. A primary gain is the exclusion of extraneous noise, making the audio experience more pure. A secondary gain is that your music does not disturb others. The UnCan device works outside the ears, indeed it works outside the headphones too. This is probably it's biggest drawback as it would therefore be impossible to add to portable devices like the iPod or other MP3 players. Perhaps a future iteration could be the application of the algorithms to an extra chip in such devices if they buy a license; the apps already available for iPods and iPhones are claimed to be much more primitive according to the UnCan designer. It's inventor, Horace de Vere Cole, a British expat inventor, now living between his Venice home near the Piazza San Marco and his Eire ancestral pile at Ballincurrig, County Cork, claims to have come up with the circuit in a moment's inspiration while perusing chip catalogues. Even though this reviewer spent hundreds of hours wedged under Koss Pro 4AA and Koss Pro 5LC closed headphones in studios; even though this reviewer eventually carried his own open backed Koss High Velocity HV1a/HV2 cans to reduce listener fatigue; even though this reviewer subsequently went through AKG K140's, tried but disliked the ubiquitous Beyers; even though this reviewer did briefly enjoy the terminally fragile Wharfedale Isodynamic (curiously rebranded Dynatron on those samples) pleated ribbon driver headphones; even though this reviewer ultimately arrived at electrostatic headphones, from Jecklin Float, and Stax Earspeakers, this reviewer HATES headphones. With the Lame Duck Enterprises UnCan soundfield simulator acting as both headphone amplifier and signal processor (it does more than just produce a headphone sized signal) the inbuilt algorithms detect the subtle acoustic clues (whether slight flutter echoes or subsonic frequencies), and subtract them from the primary signal. The circuit then amplifies and multiplies them before reblending them with the net signal that was left after the subtraction. The overall effect is unlike those confusing quadraphonic headphones that flourished in the 1970s. The overall sound is as if some phase delay (like in a guitar stomp box) and reverb has been added carefully to each channel from the other channel. This produces an outside of head effect. However, the outside of head effect is almost like an afro hairstyle of sound fuzzily bobbing around ones head, especially if the wearer starts dancing. It is not as unpleasant as it sounds. Sitting still while reading is the perfect use for this device. The Lame Duck Enterprises UnCan Soundfield Simulator has an output stage with two, switchable, options. These enable the UnCan to be optimised for high impedance (usually low sensitivity) headphones, or low impedance (often more sensitive) headphones. The front panel knob will fine tune level plus or minus 6dB but once set to suit the owner's headphones, it is better to use the main volume control on the main amplifier. There is a line level input, for use when owners have a pre-amp with two sets of outputs, or a speaker level input. Like subwoofer inputs, the speaker level input uses a high impedance to minimise the power draw from the main system power amplifier, but unlike subwoofers, the UnCan attenuates the main speakers when it is activated. The UnCan uses a tiny wall wart power supply, but an upgraded PSU is due to be released soon, called the Optional Power Supply. The Lame Duck Enterprises UnCan gave me such hours of enjoyment while I enjoyed reading the new deluxe edition biography and retrospective of New York Abstract Expressionist Nat Tate, with introduction penned by former art student David Bowie (who signed my copy at the launch in NYC and read extracts to the assembled company). While it could not be considered "High Fidelity" in any sense of the phrase, being an enhancement, it increased enjoyment of audio much in the same way as achieved by alcohol (alternative brain adjusting chemistry is believed to be available at other outlets). It would be particularly useful to those spending hours in the company of ear buds attached to iPods. As an experiment I tried it on my satnav, which was really weird and probably not unlike the experience people have hearing voices in psychosis. Of course I tried The UnCan with loudspeakers too. I'd like to say it enhanced those mystical qualities of soundstage are enhanced beautifully, the soundstage becoming wider, deeper and higher. Furthermore, did the instrument placements become more tangible, even acquiring air around them? NO. At worst, headphones create a soundstage between the ears or just at the back of the head. Loudspeakers create a soundfield in front of the listener. The The Lame Duck Enterprises UnCan pulls off the trick pursued for a century since the crystal set was invented. Unfortunately it is not high fidelity, but it is fun. Finally, an audio product has captured the external acoustic quality in a headphone with the The UnCan by Lame Duck Enterprises. Those mystical qualities of soundstage are enhanced beautifully by The UnCan, becoming wider, deeper and higher. Furthermore, the instrument placements become more tangible, even acquiring air around them. NOT. Rhythms become more coherently rhythmic, pace becomes peaceful (for those forced to endure Latin at school), tempo is up, and timing more punctual. Tunes are more tuneful and pitch is blacker. It is so hard to believe so much can be improved by a product that claims so little. Whenever something amazing happens in audio, we audiophiles tend to say, "That's Uncanny!"